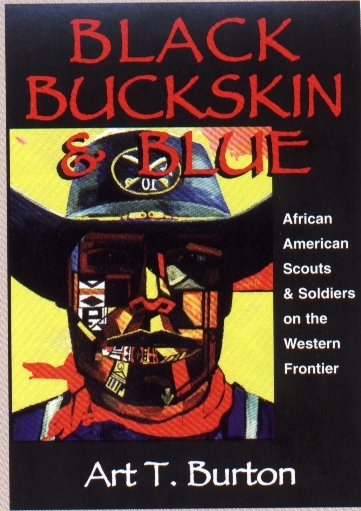 Black, Buckskin, and Blue takes an in-depth look at African Americans who were scouts and soldiers on the United States western frontier during the nineteenth and twentieth centuries. The author explores individuals, incidents. and occurrences in which black men were involved during the westward movement as scouts and soldiers. Bypassing the many racial hostilities they endured in western frontier towns--well covered by other books- the author examines military incidents involving black soldiers and desperadoes and certain critical military engagements in which they made important contributions. This book is a continuation of the research begun by the author more than a decade ago for his first book, Black Red and Deadly: Black and Indian Gunfighters of the Indian Territory, 1870-1907. Art Burton, a native of Oklahoma lives in Chicago with his wife and daughter and serves as director of minority affairs at Columbia College Chicago.